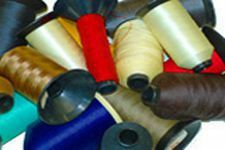 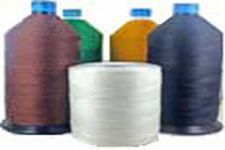 Most nylon thread has two or more plys that are twisted and bonded together. 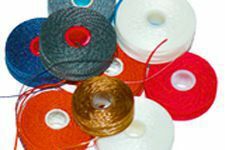 Monocord is a single-ply thread that is smooth, flat, and ribbon-like. 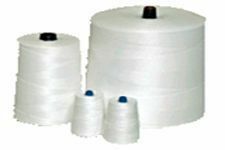 Its single-ply construction is ideal for low profile sewing where stitches are buried in the material for reduced visibility. 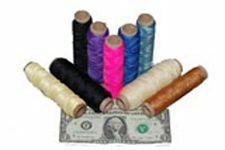 Also, having no twist means it can work with both needles on a dual head machine. 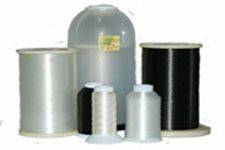 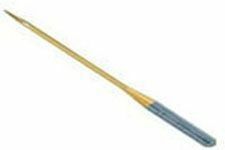 It is used for furniture, upholstery, leashes and colars, boots and shoes, and hand sewing. 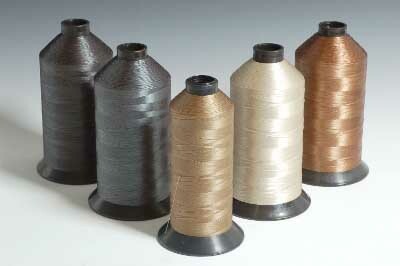 Switching from regular nylon normally requires machine tension adjustments. 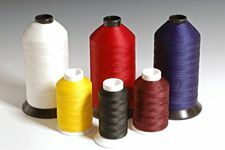 Nylon looks, feels, and sews like polyester, Use nylon thread for sewing almost anything that requires strength and durability.